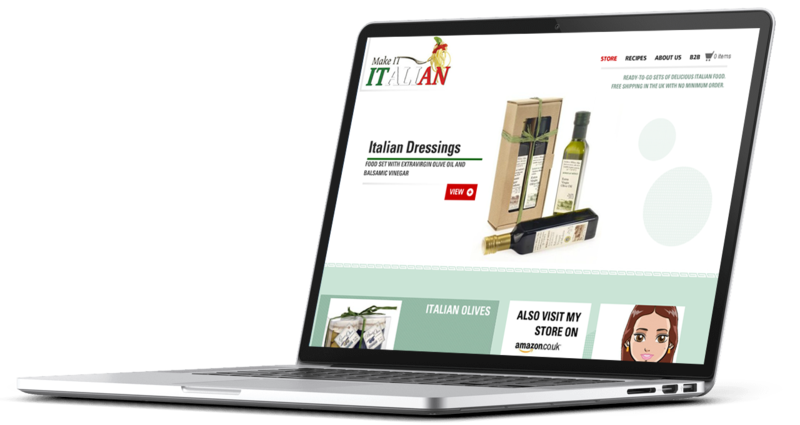 Client: Make it Italian was for 6 years the online store of Italian food I founded and launched in 2011, in the UK. I developed its strategic business plan and carefully created an entirely new catalog by selecting the products and identifying the best partners. I implemented the delivery process with Amazon.co.uk and designed/developed the related blog and social media community.